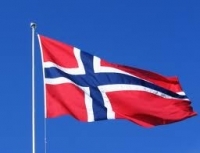 The Norwegian Ministry of Petroleum and Energy has 15 February 2013 announced the APA 2013, comprising the predefined areas with blocks in the North Sea, the Norwegian Sea and the Barents Sea. The new areas are in the Norwegian Sea, close to the Aasta Hansteen Field off Sandnessjøen. Applications can be made for any blocks or parts of blocks within the predefined areas which are not already included in a licence at the closing date for application. This entails that acreage which is relinquished in the application period is regarded as announced at the time of governmental approved relinquishment. The awards are planned to be made in first quarter of 2014.